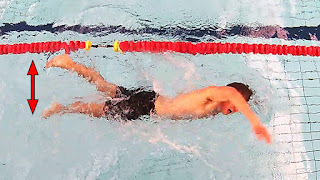 Most (but not all) swimmers find swimming with a pull-buoy between their legs faster or easier. The main reason is that the extra buoyancy helps keep your legs higher in the water, reducing drag. But there is second reason why. 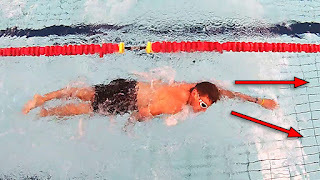 This is a very common problem but is sometimes missed by coaches on the pool deck as it happens so quickly within the stroke and the low viewing angle from the pool deck can make it difficult to spot. In fact on our recent clinic series 48% of swimmers had a significant scissor kick in their stroke that was easily spotted when viewed from overhead video analysis. The key to fixing a scissor kick is to remove the crossover of your lead hand whilst you are breathing. An excellent drill to work on removing the crossover is kicking on your side with fins on, drawing your shoulder blades together and back to bring the lead arm straight. You can find out more about that exercise on our DVDs and in our book, or on this blog post. Once you've removed the crossover the scissor kick can sometimes linger on as a habit, so as you swim visualise keeping your legs straight and toes pointed, kicking from the hip. As you kick, make sure the big toes brush past each other in a nice rhythm 'tap tap tap'. Give these exercises a go even if you don't think you have a scissor kick in your stroke. You may be surprised at what you find! Since we tailored each HUUB design to an individual stroke style, giving a HUUB at Christmas says you love someone for who they truly are (and subliminally it says you think they look hot in rubber too, which can only bring positive results). With our free exchange policy you can easily swap your HUUB for another size once they have unwrapped it and tried it on, so you can buy with confidence. Buy one here or for any questions about selection or sizing send us a quick email here (we're very friendly). A great stocking filler, the Tempo Trainer Pro is a fantastic tool for any swimmer to help them develop their stroke technique and pace them through some solid training sets. We also offer them at the best price on the internet - see here. We've talked a lot about our new swimming book on this blog and yes, it does make the perfect present for the bookworm in your life. We're obliged to tell you that at 300 pages it won't actually fit into a stocking but the upside of that is that it's absolutely jam packed with information on improving stroke technique, open water skills and swim specific fitness. It's the perfect present for any aspiring swimmer or triathlete and includes thousands of combinations of training sessions to follow in the back (and for all the men out there, yes the pictures are awesome too). Our coaches offer the best coaching service anywhere in the world and if you're in the UK, you're lucky enough to have them on your doorstep! Why not book up a special Video Analysis and Stroke Correction Consultation for your loved one, a gift that's guaranteed to improve their swimming. If your target of Christmas pleasure is a visual learner, you can't beat the gift of a Swim Smooth DVD. All our great coaching, open water techniques, and insightful footage of elite swimmers delivered in our fun and pragmatic style. For beginner freestyle swimmers we'd recommend our Learn To Swim DVD, for intermediates our DVD Boxset and for upper intermediate and advanced swimmers the Catch Masterclass. As a free bonus, if you hold any Swim Smooth DVD up to your left ear and listen very carefully you can hear the distant hum of pool filtration pumps in Perth, we think that's quite romantic. Speak to you again next week, have a great Christmas and festive season! Have You Settled For Less Than You Deserve? When Louise Sawyer said "you get what you settle for" she was talking about relationships. But the same thing is true for your education, your career and also your swimming. While swimming isn't as important as our relationships, it's saddening to see someone you care about settle for less than they deserve because they don't believe they can be better. If you've read our new book, you'll have heard us talk about how an eleven year old can be such a fast swimmer despite having very little strength compared to an adult. One of reasons they can do that is that kids don't place limitations on themselves, every time they go to the pool they walk out excitedly on to the poolside with a clear head, jump in the water, go for it and see what they can do. In life we are infrequently blessed to meet just a handful of people whose passion deeply inspires us. For me one of those people was Percy "Perc" Edwards who sadly passed away last week at the ripe old age of 87, having just won 12 gold medals at the Australian Masters Swimming Championships only the week before. Perc had also just been awarded the highly coveted "Groper of the Month" by his club Cottesloe Crabs and last year joined the exclusive Aussie Masters Five Million Meters club! 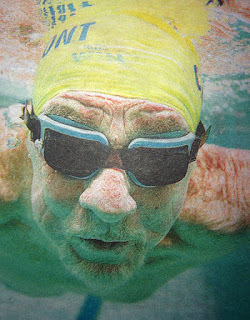 Percy's passing was unexpected but totally fitting at the same time, being that he'd just completed another swim session at the Claremont Pool where Swim Smooth is based (featured in last week's blog). I was personally there when Perc passed, having just been discussing his accomplishments with him (which he loved to do) not 20 minutes before. I had been admiring his latest medal haul which he was carrying around in a Coles plastic shopping bag! As everyone agrees over here in the WA swimming community, it was a fitting farewell to such a beloved character and something the world's most passionate swimmer might have scripted for himself. I first met Perc when I arrived in Perth in 2002 from the UK. 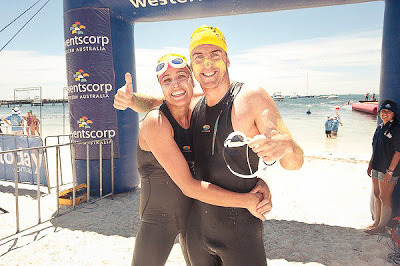 He was one of the first people to come over and chat with the new "pommie" on the swimming circuit down at what has grown to become my favourite race, the 2.2km Cottesloe to Swanbourne swim. 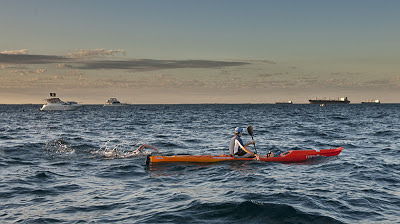 Always friendly and always ready to tell a story, Perc was a real character and I remember being amazed at how well a 77 year old was competing against the young guns in the tough ocean conditions. Although he had been swimming since he was a child, Perc often said that after the loss of his wife Mary 21 years ago, it was swimming that kept his zest for life going. 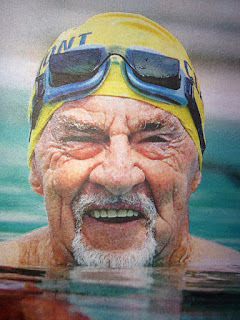 He lived an amazing life - as a young 18 year old flew as a navigator on bombers over Germany during WWII, had been a butcher, an accountant, was made a lifetime member of the Claremont Masters Group in 2004, and was a highly regarded swimming race referee of 30 years for Swimming WA, always immersing himself totally in the sport. His zest for swimming and life in general was staggeringly inspirational and infectious to all around him. Back in 2004 when we released the first Swim Smooth DVD, I discussed just how important it is to find enjoyment within your swimming to help motivate you to get down to the pool and make progress with your technique, fitness and open water skills. 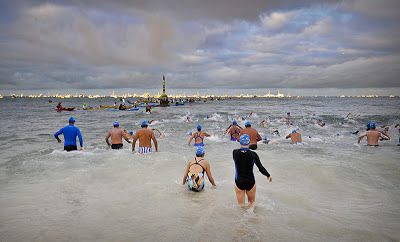 Sadly over the years we have seen so many athletes getting into swimming but seeing it only as a necessary evil to complete a triathlon event. This proves to be a huge barrier to progress for so many people. If you have ever felt this way yourself, I just hope that you can take an ounce of inspiration from Perc by getting down to the pool and having a lightness and positivity in your attitude towards your swimming. Keep a smile on your face and enjoy being immersed in the water for all the positive benefits it brings you. Swimming is truly a fantastic sport to be involved with and doesn't have to be the chore that you may feel it to be right now. Find just one thing that you enjoy about being in the water and every session make sure you start and finish with that element. Perc used to love diving down to the bottom of the pool and playing around like a kid - maybe this was what kept him so youthful and positive in his later years? 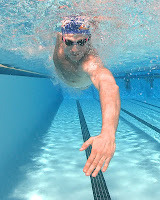 Maybe this same thing will be what keeps you coming back for more and with that consistency your swimming will improve. Perc had three children, five grandchildren and one great-grandchild. 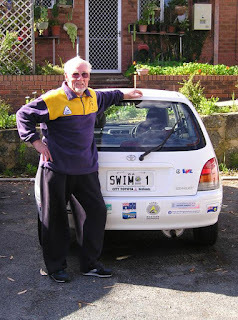 He will be sadly missed within our local swimming community in Perth and no doubt much wider afield as well. Personally I feel blessed to have known and been inspired by such an amazing person over the last 10 years and I will miss our poolside banter tremendously. Thank you Perc for all the memories and for fuelling my own passion for swimming. The Best Office In The World! 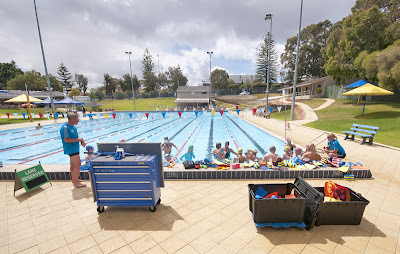 Swim Smooth's coaching set-up is in Perth, Western Australia and it's not hard to understand why. There are 25 Olympic (50m) pools in Perth for a population of around 1.5 million people. The climate is idyllic with the summer months averaging 31°C (88°F) and the winter months 19°C (65°F). 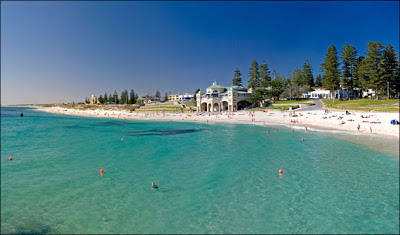 Together with a year round average 8 hours of sunshine a day, Perth is certainly one of the best places to swim in the world! We operate three separate squads, totalling around 340 swimmers attending 12 training sessions, each made up of a range of swimmers of all ability levels. The level of interest in Swim Smooth in Perth is huge and unfortunately we have to restrict our squad numbers to maintain the quality of coaching. Hello from our 6:30am squad! John, Phil, Mike, Gwen and Cindy working on their exhalation technique. We're passionate about developing swimmers of all ages, abilities and backgrounds, and we hope that comes across in the blog and on our websites. We give everyone the same attention and never dumb anything down for beginners. All our swimmers from beginner to elite receive the same enthusiastic approach and high quality coaching, that's very much at the core of what we do. 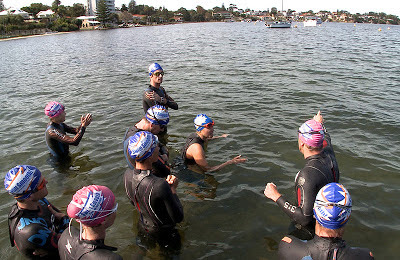 We also run a special elite squad with professional triathletes such as Kate Bevilaqua and Guy Crawford in attendance, and some of the best open water swimmers in Australia. Many professional triathletes looking to improve their swimming drop in to Perth to join this squad and be coached by Paul Newsome during the northern hemisphere winter. 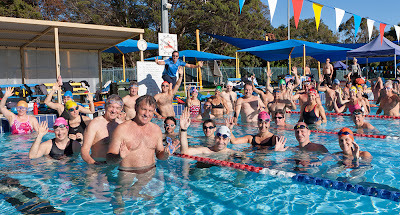 Perth really is a special place to live, swim and coach. 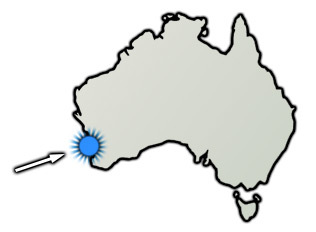 It's the most isolated city in the world (the nearest city being Adelaide 2,104 km away) but you'd never know that. The facilities and environment are amazing and the people love all sports but particular swimming. 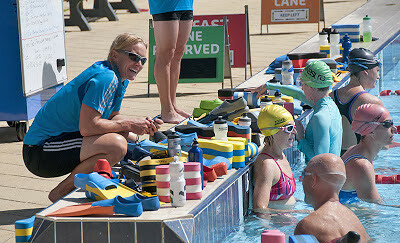 It's the perth-ect place to develop the world's best swim coaching program! We hope you enjoyed that quick tour of what we do. For more stories and pictures from Perth as they happen, follow Paul Newsome on twitter here. Book a unique video-analysis-and-stroke-correction-consultation with a SS coach today, these are very special one-off sessions which are well worth a journey to attend. Or, if you are lucky enough to live nearby, join one of their Swim Smooth squads which use the same structure as the ones here in Perth. We're very pleased to announce that we have three more coaches currently training to fill in those gaps around the UK map, look out for them when they become certified in early 2013.